OLD PARKED CARS. : Golden Eggs: 1976 Honda Civic Hatchback. 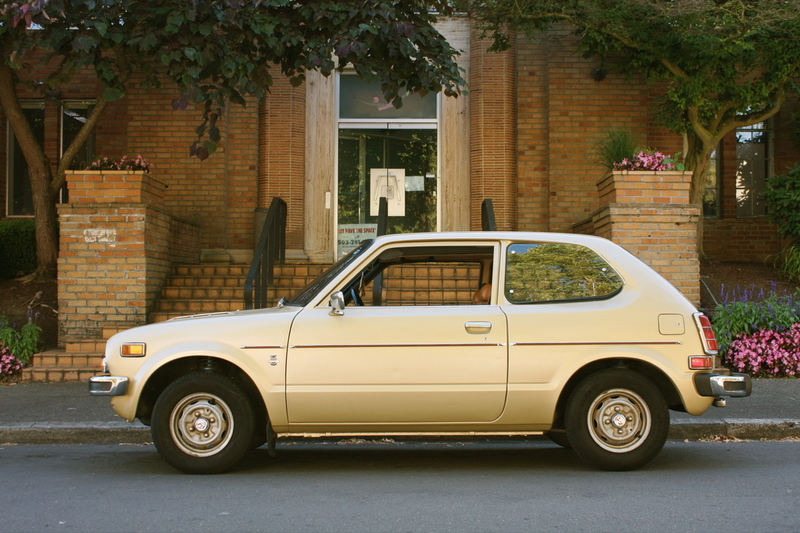 Golden Eggs: 1976 Honda Civic Hatchback. This Civic hatchback appeared outside the office one evening as I walked to my car, and I photographed the heck out of it. Three city blocks later, I passed by the Civic wagon posted below. That car is a familiar neighborhood car that I've passed up photographing countless times, or else have stopped and photographed but been dissatisfied with the images and just never got around to posting. 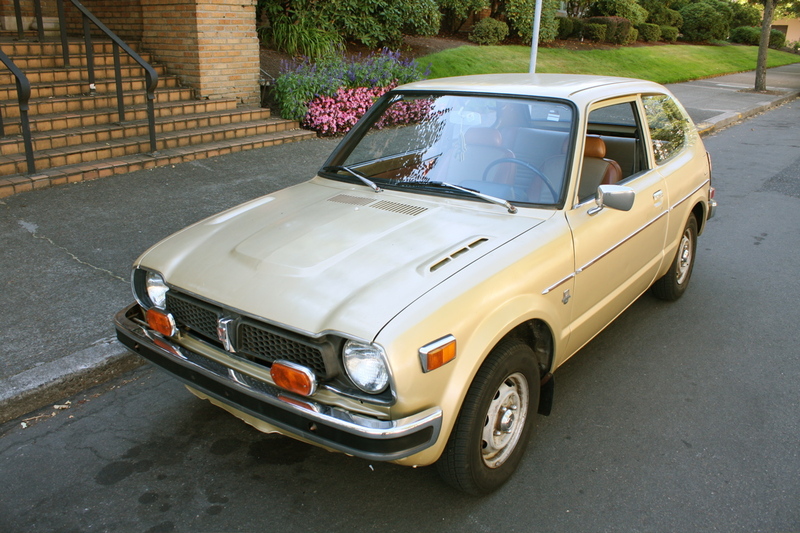 And the gascap spillover stain and the modern hubcaps kind of killed the appeal for me. But two solid gold Civics in the span of minutes was enough to rekindle my love. The lighting on the wagon is kind of harsh, but it worked out okay. The Bigfoot air freshener makes it! 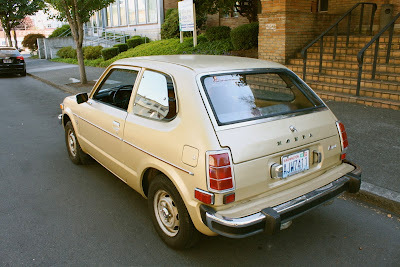 I drove by a hole-in-the-wall used-car lot in Fresno yesterday, and saw one of these sitting there. 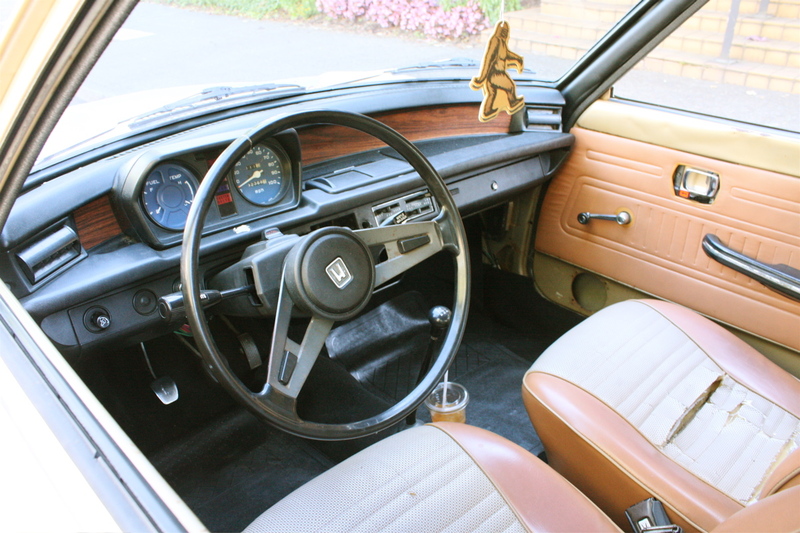 It was a white '77, and not for sale. Were it for sale, I'd have done my best to strike a deal, and set aside some money for a repaint.